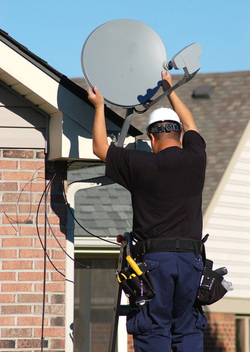 ﻿﻿If you are experiencing any problems with your TV reception or have any other related faults, Call us now on﻿ ﻿01772 382021 or 07516 783512, we Guarantee to get to you within 24hrs (where humanly possible). If your television keeps losing reception, you may need a brand new satellite fitted. Signs of a faulty aerial include Pixalating and Images Freezing, which may also be the result of blocked signal. As aerial repair experts we can re-align your aerial for you; we will also check all cable connections before testing a variety of spares to amend or replace any damaged parts. Whether your household watches Freeview, Freesat, Sky or Multiroom, we carry a full range of indoor and outdoor Dishes at all times. Their repair work is quick and efficient; having such a large supply of spares means we are able to cope with most replacement needs.